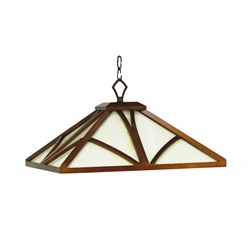 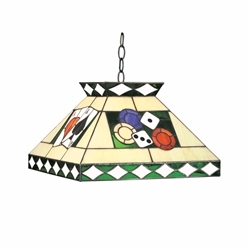 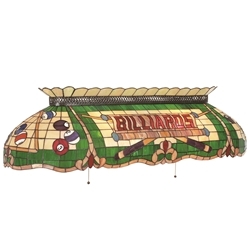 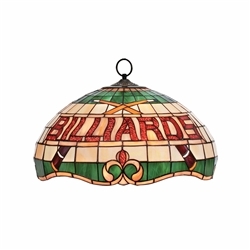 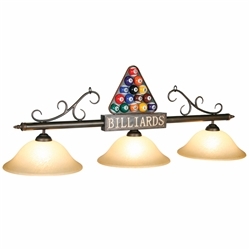 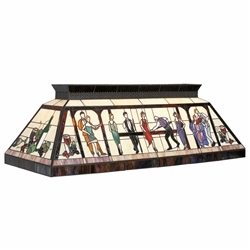 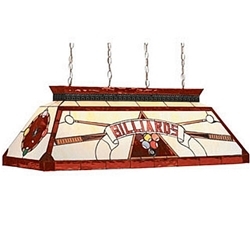 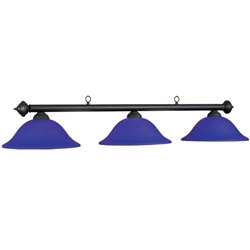 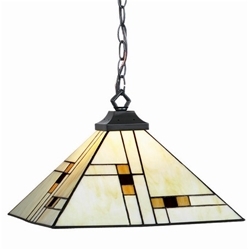 This Colorful designed Stained Glass Billiard Light Fixture adds beauty and elegance to any Pool Room as it enhances your pool table with plenty of light for playing the game. 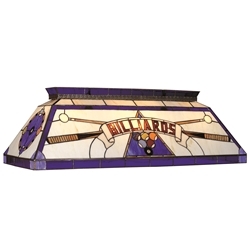 This multi-colored Glass pool table light has details around the entire fixture with people, grapes and wine bottles, lending itself to a lounge effect. 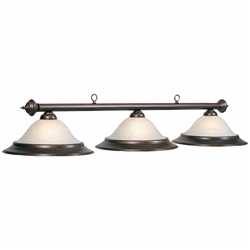 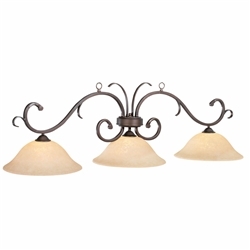 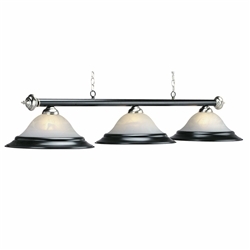 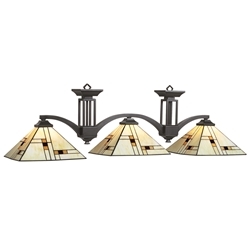 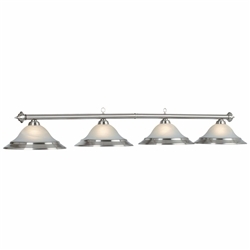 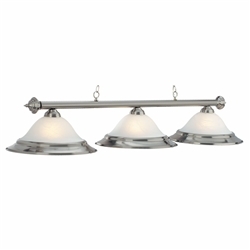 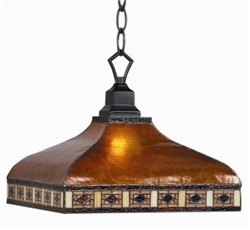 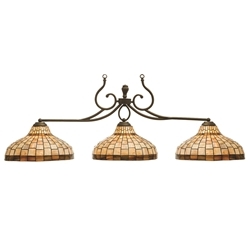 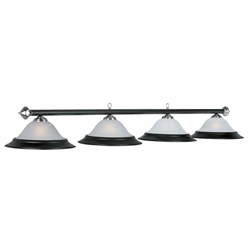 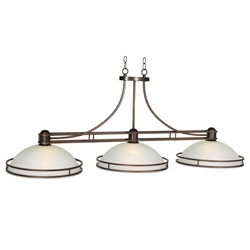 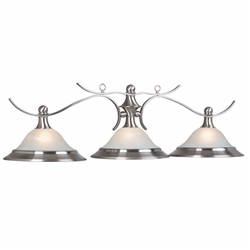 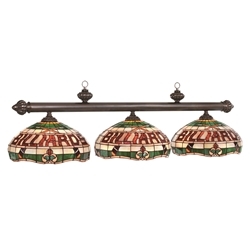 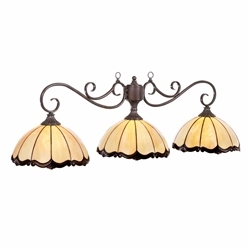 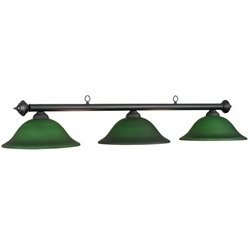 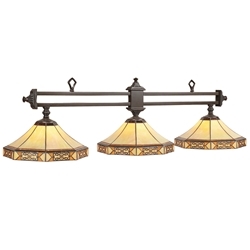 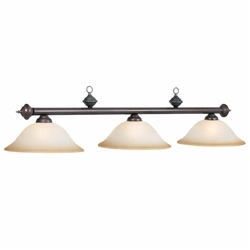 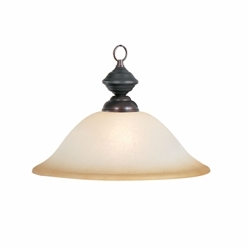 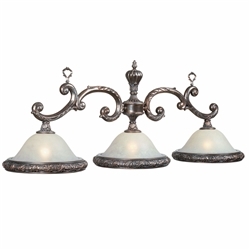 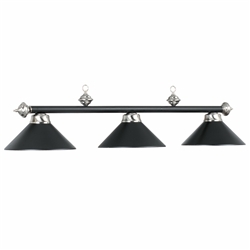 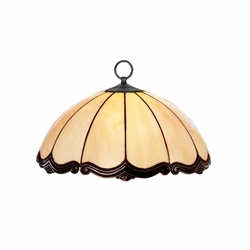 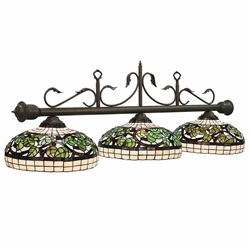 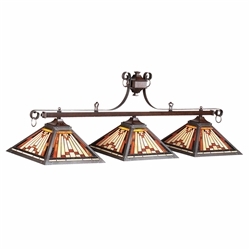 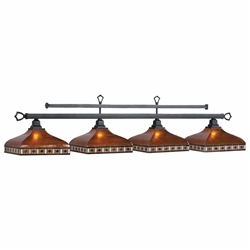 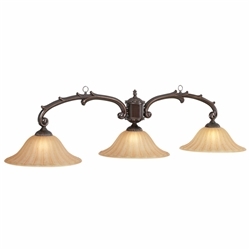 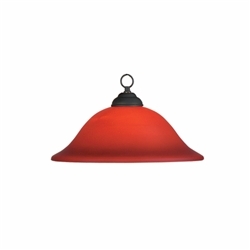 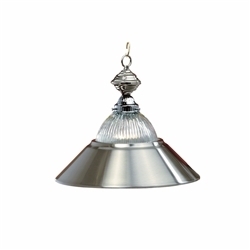 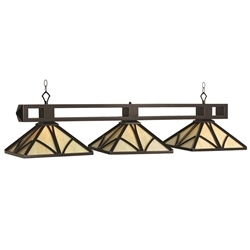 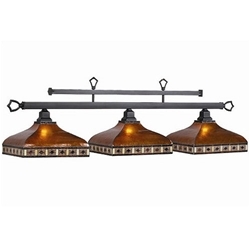 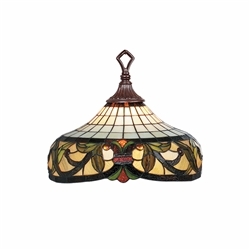 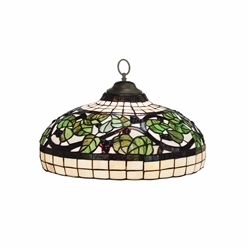 This Detailed Light Fixture features rubbed Bronze finish bar with 3 earthy colored greens, amber, bronze and beige toned Stained Glass Shades.